Let's team up! Become a sponsor! For this major event, we are looking for dedicated sponsors interested in contributing to the success of these Championships. Are you interested to contribute to the succes of our Acrobatic gymnasts? Please contact the Organizing Committee! Experience Worlds in an exclusive way! Sit back, relax and enjoy Worlds in a special way! 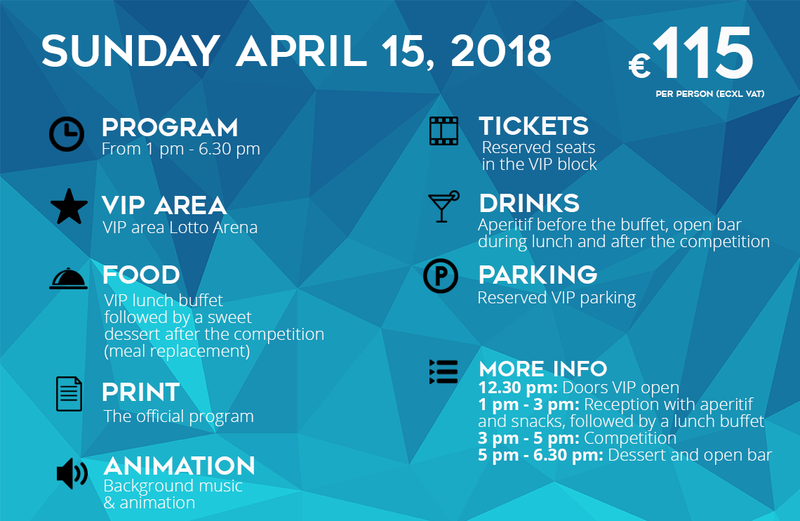 Especially for you and your clients, we created a hospitality arrangement to enjoy the 2018 World Championships Acrobatic Gymnastics in an exclusive way! 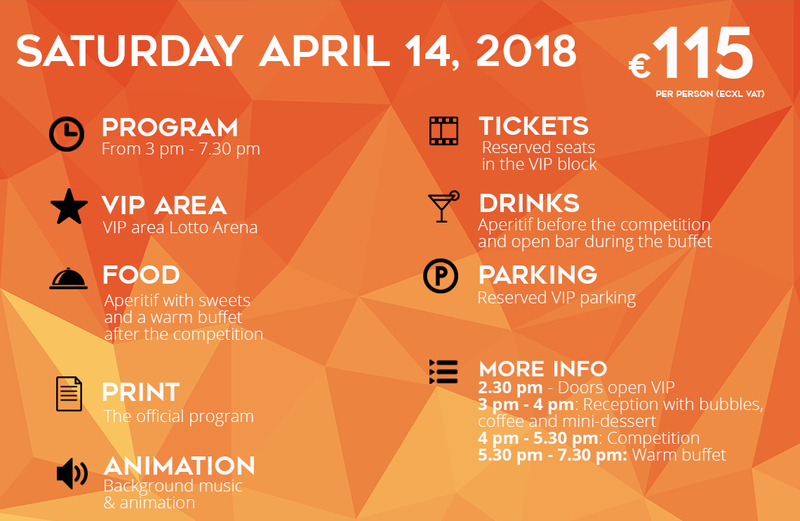 The performance of the Worlds best acrobatic gymnasts will make this event a unique experience for you and your clients. This competition will undoubtedly become the best sports event of 2018!